After doing some quick math, turns out I have 7 giveaways left to do in the next 5 days. LUCKY YOU! All #30in30 giveaways are going to end in time for gifting – don’t worry! 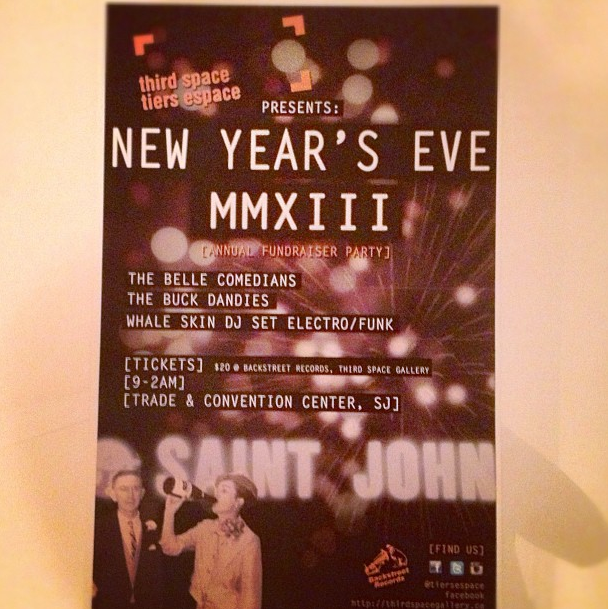 Third Space Gallery is hosting their annual NYE party at the Trade and Convention Centre in Market Square. In addition to a killer DJ set by Whale Skin, The Belle Comedians and the Buck Dandies will take the stage! Tickets to the event are $20 in advance (A STEAL) and are available at Backstreet Records! Third Space Gallery is giving away a pair of tickets to one lucky reader – enter below!